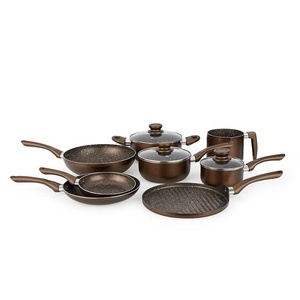 High performance magic cooks club cookware set with wooden paint handle. 2) Factory direct sale, competitive price, and discount is offered up to the amount. Q: How long is your delivery time9 A: Gernerally it is about 5-10 days if the goods are in stock. Q: How to order9 Send us inquiry with quantity, sizes, delivery time or any other requirements. 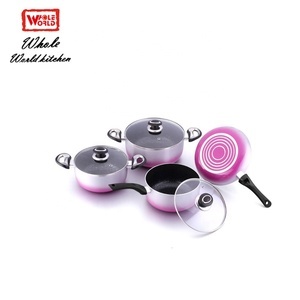 Aluminum non-stick cookware set Material aluminum alloy Handle bakellite handle Bottom spin&spiral or induction Inner 2-layer nonstick inner coating,durable,anti-scratch Outer heat resistant outer coating, durable,soft touch,anti-scratch Payment 30% as deposit, the balance is against by copy B/L Delivery 30 days after receipt the deposit Package packed in bubble bag or with color box Safe for Dishwasher. All different colors available. Remark: Other size, color, thickness and designs can be made as your requirement as well. 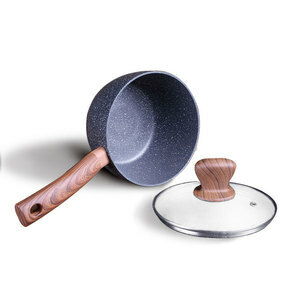 O.D.J Cookware New design Pressed Aluminium Non-stick kitchen accessories with wooden tools made in china 1. Item Number:ODJ-T1008 2. 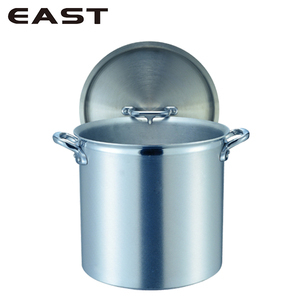 Material:Aluminum Alloy 3003 3. Certificate:FDA,SGS,LFGB,CE/EU 4. Exterior: Heat resistant coating, any color available 5. Interior: Non-stick Coating or Ceramic Coating. 6. Bottom: Spiral or Induction 7. Handle: Bakelite with shine or Silicon coating 8. Size: from 14 to 32 cm 9. Packing: color box or depends on request. 10.Healthy to cook,easy to clean Good quality with reasonable price,different design and various colors according yours request Detail Picture: O.D.J. 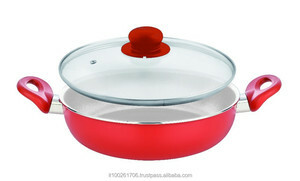 Yongkang Miwi Import&Export Co., Ltd.
Alibaba.com offers 31 club aluminum cookware set products. About 96% of these are cookware sets, 3% are pans. 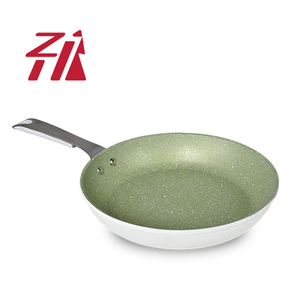 A wide variety of club aluminum cookware set options are available to you, such as ce / eu, sgs, and fda. You can also choose from eco-friendly, stocked. As well as from free samples. 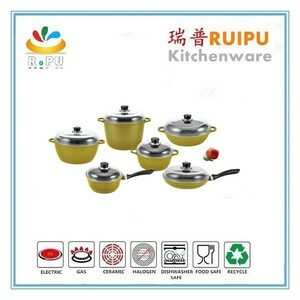 There are 32 club aluminum cookware set suppliers, mainly located in Asia. 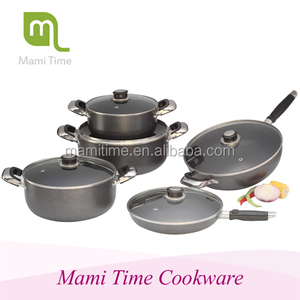 The top supplying countries are China (Mainland), South Korea, and Italy, which supply 84%, 12%, and 3% of club aluminum cookware set respectively. 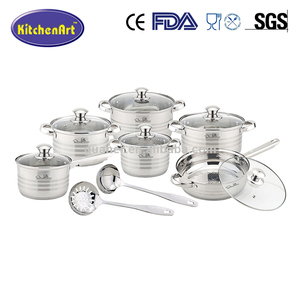 Club aluminum cookware set products are most popular in North America, Western Europe, and Eastern Europe. You can ensure product safety by selecting from certified suppliers, including 8 with ISO9001, 4 with ISO14001, and 1 with BSCI certification.